Aurangabad (meaning "Built by the Throne") is named after the Mughal Emperor Aurangzeb. The city is a tourist hub, surrounded with many historical monuments, including the Ajanta Caves and Ellora Caves, which are UNESCO World Heritage Sites. Aurangabad is said to be a City of Gates and the strong presence of these can be felt as one drives through the city. Aurangabad is also one of the fastest growing cities in the world. The city is heading towards rapid industrial growth, but retains its past glory and charms, heritage and traditions. Conspicuously seen on the Deccan plateau, it has a rich culture and a plethora of magnificent arts on display. It depicts the stories of Buddhism spanning from the period from 200 B.C. and 650 A.D. These caves were discovered in the 19th century by some British Officers who had been on a tiger hunt. These 29 caves were built by Buddhist monks using simple tools like hammer & chisel. These caves were the retreats of Buddhist monks who taught and performed rituals in the Chaityas and Viharas, the ancient seats of learning. The elaborate and exquisite sculptures and paintings depict stories from Jataka tales. The caves also house images of nymphs and princesses. 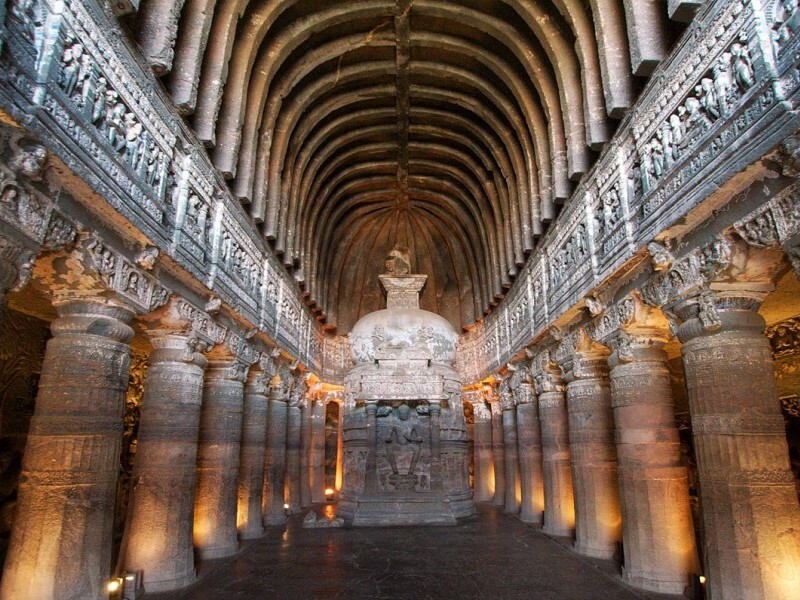 The Ajanta caves and the treasures they house are a landmark in the overall development of Buddhism as such. 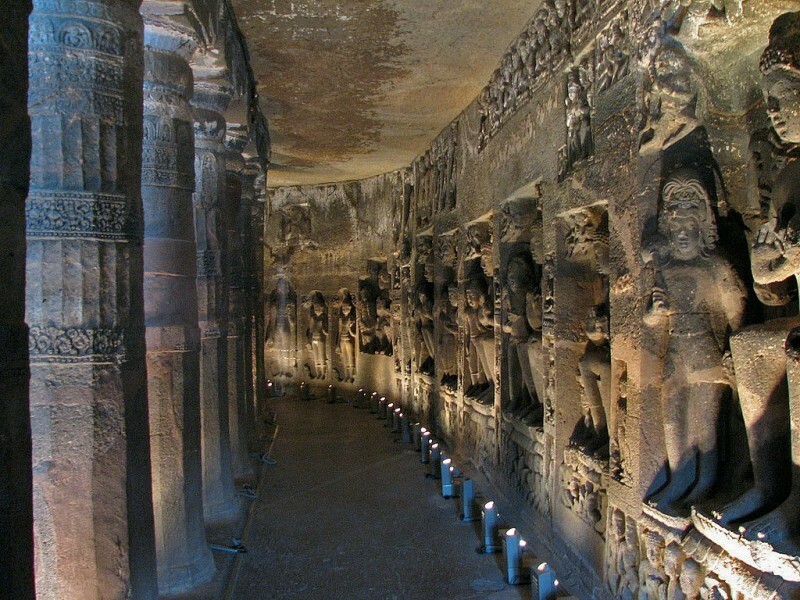 Caves have been Carved during 350 A.D. to 700 A.D. these structures represent the three faiths of Hinduism, Buddhism and Jainism. These caves 34 in number are located 29 km. from Aurangabad. They are fascinating and the finest example of cave temple architecture housing elaborate facades and exquisite interiors. 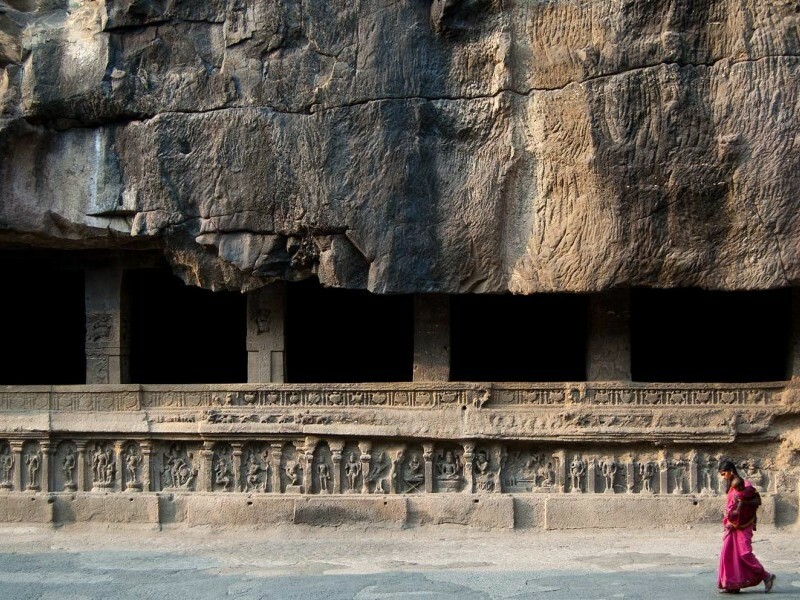 The 12 caves to the south are Buddhist, the 17 in the center dedicated to Hinduism, and the 5 caves to the north are Jain. 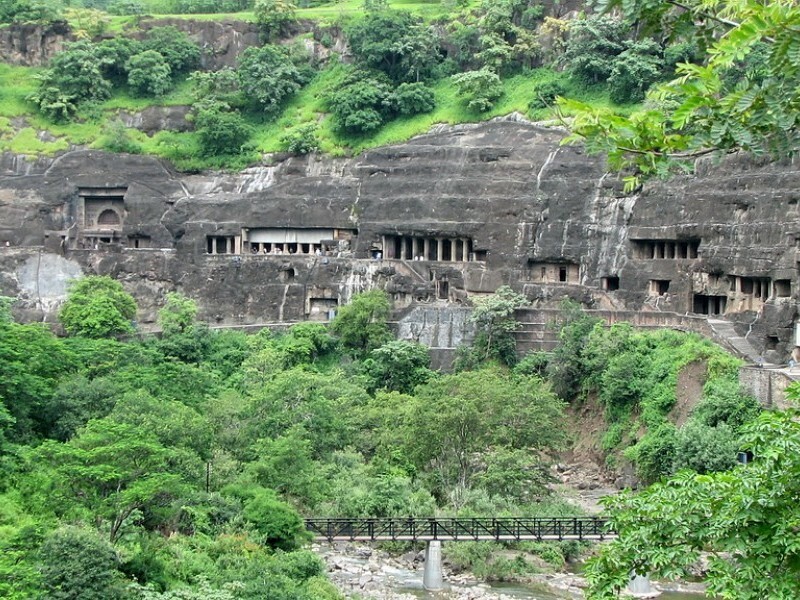 It is half a kilometer from the Ellora Caves, and 30 km from Aurangabad. It is an 18th century temple that presents outstanding architecture and carving. This place forms one of the five Jyotirlinga sites in Maharashtra where Lord Shiva is worshipped. The Holkar temple nearby is a must-see. 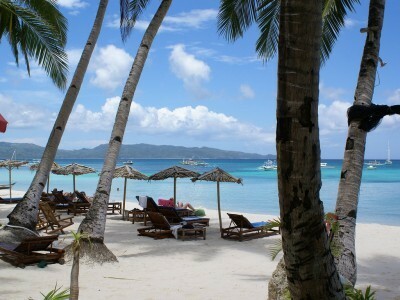 Situated about 3 km. from the city is Bibi Ka Maqbara, the burial place of Aurangzeb's wife, Rabia-ud-Durrani. It is an imitation of the Taj at Agra and due to its similar design, it is popularly known as the Mini Taj of the Deccan. The Maqbara stands in the middle of a spacious and formally planned Mughal garden with axial ponds, fountains, water channels, broad pathways and pavilions. Behind the mausoleum is located a small archaeological museum. Situated at a distance of 5 km, nestled amidst the hills are 12 Buddhist caves probably dating back to 3 A.D. of particular interest are the Tantric influences evident in the iconography and architectural designs of the caves. One is also treated to a panoramic view of the city as well as the imposing Maqbara from this point. Salim Ali Sarovar (lake) popularly known as Salim Ali Talab is located near Delhi Gate, opposite Himayat Bagh, Aurangabad. It is located in the northern part of the city. During the Mughal period it was known as Khiziri Talab. It has been renamed after the great ornithologist and naturalist Salim Ali. It also has a bird Sanctuary and a garden maintained by the Aurangabad Municipal Corporation. Enjoy Rain dance and water rides at H2O Waterpark opposite Daulatabad Fort. The sprawling gardens feature a zoo, Snake Park, lawns, a toy train and junk food outlets. Let one of our tailor-made holiday experts help you plan a personalised Aurangabad experience as per your budget and requirements.